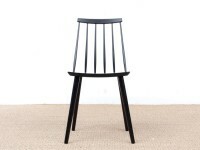 Architect Thomas Harlev belonged to a group of Danish furniture designers, who designed exclusive and functional quality furniture for the “people” in the early 1950’s. The Farstrup classic No. 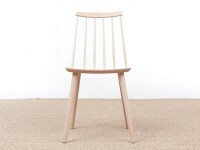 210r is one of Thomas Harlev’s most successful furniture designs, and the chair still furnishes timeless and modern living rooms, kitchens and conference rooms. 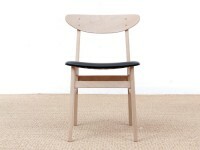 He also designed teh Stick Back chair. 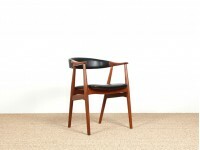 Mid-Century modern scandinavian Stick Back chair by Thomas Harlev, black stain beech. New edition. 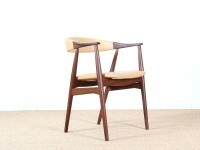 Mid-Century modern scandinavian 216 Stick Back chair by Thomas Harlev, colored seat New edition. 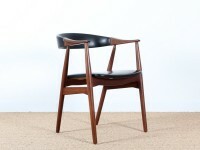 Mid-Century modern scandinavian 210 r chair by Thomas Harlev, colored seat New edition.